The Minnesota Twins recalled left-handed pitcher Andrew Vasquez and optioned right-hander Chase De Jong to Triple-A Rochester on Wednesday. 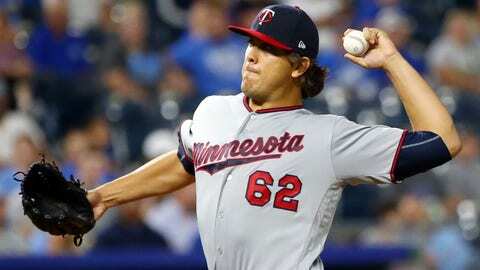 Vasquez, 25, made nine appearances for the Twins last season, allowing four hits and four walks in five innings with seven strikeouts. A 32nd-round pick of the Twins in 2015, Vasquez has pitched 1 1/3 innings for the Red Wings this season. De Jong, 25, joined the Twins on Saturday after starting the season in the minors, pitching the ninth inning of a 14-8 win over the New York Mets. He allowed four earned runs on three hits and three walks, throwing 46 pitches.